Non-voting members of the United States House of Representatives (called either delegates or resident commissioner, in the case of Puerto Rico) are representatives of their territory in the House of Representatives, who do not have a right to vote on proposed legislation in the full House but nevertheless have floor privileges and are able to participate in certain other House functions. Non-voting members may vote in a House committee of which they are a member and introduce legislation. There are currently six non-voting members: a delegate representing the federal district of Washington D.C., a resident commissioner representing Puerto Rico, and one delegate for each of the other four permanently inhabited US Territories: American Samoa, Guam, the Northern Mariana Islands, and the US Virgin Islands. As with voting members, non-voting delegates are elected every two years, and the Resident Commissioner of Puerto Rico is elected every four years. Territorial delegates existed before the ratification of the United States Constitution. The Northwest Ordinance of 1787 allowed for a territory with "five thousand free male inhabitants of full age" to elect a non-voting delegate to the Continental Congress. After the ratification of the Constitution, the first United States Congress reenacted the Ordinance and extended it to include the territories south of the Ohio River. Similar to delegates are resident commissioners, who represented the large areas acquired during the Spanish–American War, and for much of the 20th century were considered colonies, not territories and unlike the previously acquired areas which would become the contiguous U.S. or Alaska and Hawaii, did not have residents with the rights of, or to U.S. citizenship. Unlike incorporated territories, they have the right to secede from the Union,[ citation needed] and in the case of the Philippines, they have. The District of Columbia is technically a federal district—not a territory, commonwealth or insular area. However, from 1871 to 1875, it briefly had a delegate to Congress. This situation did not last long and congressional representation was terminated. 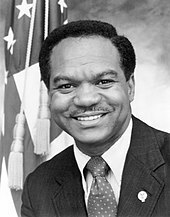 The District had no other delegates until 1971, when the House of Representatives agreed to seat Walter E. Fauntroy,  who served in that position between March 23, 1971 and January 3, 1991 when Eleanor Holmes Norton was elected and who continues in that position. ^ a b c d e This article incorporates public domain material from the Congressional Research Service document "Delegates to the U.S. Congress: History and Current Status" by Betsy Palmer.